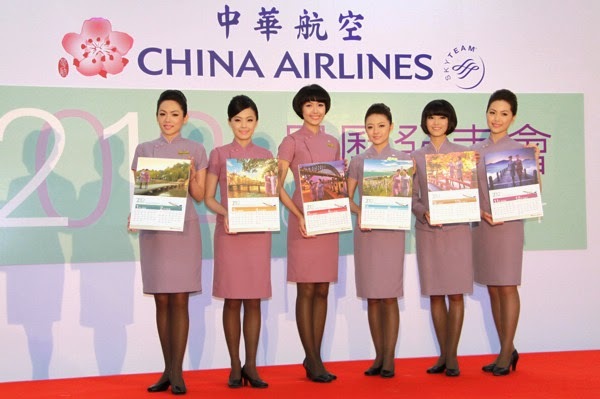 ETtoday - On 14 November 2012, China Airlines published the official calendar in Taipei Songshan Airport. Using Alliance (SkyTeam) as the main theme - mostly related the topic about "bridge". Also, to elect the 12 beautiful flight attendants and ground staffs as the calendar girls. 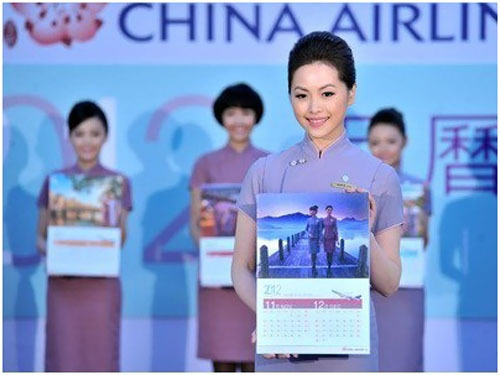 On that day, it's please to invite some calendar girls, but also for the first time publishing to the public, which attracted many tourists took pictures.And this is the first time opeing sales in the China Airlines website e-Mall!